Looking for a fully automatic washing machine for your home? This article is for you then. We have covered 10 best fully automatic washing machines available in India as of 2019. Both front load and top loading washing machines are covered in this article. If you are looking for a top load washing machine then you will be able to find it between Rs. 10000 to 20000. For fully automatic front load washing machine you have to spend between Rs. 20000 to 30000. The washing machines near the lower price point will have a capacity of around 5.5 to 6 kg and machines near the higher print point will have a capacity of around 7 to 8 Kg. So doesn't matter what is your budget, you will find a fully automatic washing machine under 10000, 15000, 20000, 25000 and 30000. 5.5 or 6 Kg capacity is suitable for a family of 3-4 members and washing machine of 7 or 8 Kg capacity is suitable for a family of 5 members. If your clothes have tough stains then you should go with a washing machine with an inbuilt heater as warm water helps to get rid of tough stains easily. In this article, we have covered fully automatic washing machines from all top brands like LG, Samsung, IFB, Whirlpool, Bosch etc. All these brands make high-quality products and have good after-sales service network as well. We have listed a brief review of every washing machine with pros cons and buy links. Prices are also mentioned but prices keep changing so please check the latest price by clicking on buy links provided. Let's take a look at best fully automatic washing machines in India. This is the 7Kg Fully automatic front load washing machine from Midea with a strong build quality made of stainless steel. This machine is suitable for a family with 3-4 members and the motor is powerful with a 1000 rpm. The machine comes with 23 wash programs and temperature adjustments based on the kind of cloth you are washing. The high temperature helps clean the cloth with deep dirt quickly, also you can select the prewash option to wash the clothes extra than the regular number of cleaning cycle. This 7Kg fully automatic washing machine is designed and manufactured in a way that it consumes less electricity and less water. This machine has programs like Fuzzy logic, Mute Washing (very less noise while washing) etc and also restarts itself from the previous timer and settings in case of a power cut in between as it stores the settings in the controller memory. Overall, at under 15000, it is the most economical front load washing machine and comes with 2 years of warranty. This machine does not have a digital display for timer but that should not be a big deal for anyone who is not a brand-savvy when a similar product is available at 20-30% less cost. Along with the pricing the machine really works well and cleanse the cloth super well. As per our review, you will not face any issue and it has easy to use design. This is our favourite fully automatic front load washing machine under 35000. It comes from IFB which the best brand for fully automatic washing machines. The capacity is 8 kg which is suitable for a family of 4-6 members. The washing machine performs great because of the powerful motor. There are more than 100 wash programs. In-built heater helps to remove the tough stains. IFB machines come with Air Bubble Wash System that forms a lot of bubbles to penetrate into each part of clothes and have an auto-balance system to rebalance the clothes properly based on their weight so that they are evenly distributed. With the inbuilt heater, the temperature can be adjusted among 30,40,60 and 95 degrees. It has all the basic feature of an auto restart, timer, buzzer etc. It comes with a 4-year comprehensive warranty from IFB. They have a decent after sales service network so you are covered for next 4 years. You also have the option fo increase warranty after 4 years by paying some nominal fee to IFB. This machine is a best seller under 35000 category and is rated 4.4 stars out of 5 by a lot of users. If you are looking for a fully automatic washing machine under 35000 then this is the one you should buy. Samsung is one of the top electronics brands in India. Samsung is known for their quality products and high prices. Same is the case with this 6.5 kg fully automatic front load washing machine which stainless steel drum and is a good option for a family of 3-4 members. It runs on a powerful motor and the machine comes with 10 different wash programs. It also has inbuilt heater where you can change the temperature of water between 20, 40, 60 and 90 based on the type of clothes and how much cleaning they require. This machine uses a ceramic heater that consumes less electricity and is very durable. It has a user-friendly control panel and is easy to use and operate. This machine comes with digital inverter technology that lowers the electricity consumption based on the type and load of clothes. It can also handle all the voltage fluctuation and prevents any damage to the machine. With great quality and performance, it is one of the best washing machines in the range 25000 to 30000 and comes with a 3-year warranty for the complete machine and 10 years for the motor. Bosch is a big brand outside India and is known for making high-quality products. This is an excellent fully automatic washing machine from Bosch. The capacity of the washing machine is 7kg which is good for a family of 3-4 members. The washing machine has excellent build with a powerful motor of 1200 RPM. These machines sense the load of clothes and adjust the water and power needed from the motor, hence the electricity consumption. Its anti-vibration sidewalls feature, reduces the vibration and noise even when operating at high speeds. It has 12 wash programs like Kidswear(for extra cleaning), quick wash (15 minutes) for lightly stained clothes, wool, delicate, jeans and a few more. It is rated 4.2 stars by a huge number of users which is a really good rating and depicts the quality of the product. It has an inbuilt heater as well which will be very helpful in getting rid of tough stains on your clothes. You get 2 years overall warranty and 10 years warranty on motor. Overall one of the best fully automatic front load washing machines in India under 30000. LG is one of the best brands in India with massive after-sales service network and that's why their products are little overpriced than others. This is a well built fully automatic washing which comes with a capacity of 6.5 Kg machine from LG with a motor of decent power and RPM. The build is excellent which is usually the case with LG products. This machine offers similar features as other LG front loading fully automatic machine and varies mostly in capacity. It also has a user-friendly control with a simple knob to choose the type of wash program. The spin speed and temperature of the inbuilt heater can also be controlled by the user. This machine is suitable for a family with 3 members so that the machine is not overloaded with clothes. The inbuilt heater comes to use when the clothes are very dirty. It comes with a 2-year warranty and LG has a great after sales service network so getting your machine fixed won't be an issue but with LG brand trust, you will not face any issue even for 10 years if you maintain the product properly. Go for it you like LG products and are looking for a nice washing machine under 30000 Rs. This is a good capacity top load fully automatic washing machine from Whirlpool. For the pricing of under 20000, you get a 7 Kg capacity washing machine with a solid build quality that makes it a good value for money product. It has a powerful motor with an RPM of 740 that can quickly soak the water and make clothes dry. It has 12 programs to choose from for wash and dry features and is very effective for different types of clothes. It is even effective if you get hard water in your area as it improves its performance by up to 30 percent to clean the clothes properly. It is very user-friendly as it comes with a buzzer to alert users at end of washing cycle or if there is any change in voltage or drop in water pressure. This machine does not have an inbuilt heater so if your clothes are not that dirty and need a 7 Kg washing machine, then it is a good option. A heater is usually required if the clothes are very dirty and needs extra and powerful cleaning. Whirlpool offers great service after sales and this machine comes with a 2-year warranty on the complete product and 10 years on the motor. Overall a good fully automatic top load washing machine for a budget under 15000 to 20000. IFB is the best brand in India when it comes to fully automatic washing machines. This fully automatic washing machine from IFB performs really well. The capacity of 7Kg is good for a family of 4 members. The machine has a top-notch build quality and has a premium look. There is a metal finish on the top with a large display, a control knob and a lot of push buttons. The machine is loaded with features which can be selected from this control panel. The 8 wash programs ensure that all types of clothes are washed properly. The 10 water level options enable easy usage and any of the hot, warm or cold can be selected from water inlet selection. If you have clothes with tough stains and dirt on it, choosing hot water would be a good option. The machine is equipped with smart sensors. The Smart Weight Sensor in this machine weighs the laundry and uses the ideal amount of water, detergent, spinning cycles and wash - rinse time without any manual intervention. The Tiradic Pulsator Cleaning Engine inside the machine makes sure that they’ll come out sparkly clean. It has three powerful features: Soft Scrub Pads, Swirl Jets, and the Mechanical Centre Punch action. They work together to remove the dirt and stains from every inch of the fabric. The 3D Wash System of this machine ensures that the water which comes into the drum through nozzles circulates an entire 360 degrees. This helps to provide a uniform wash of all clothes inside the machine. The motor has a decent power of 370 Watts and runs at a sped of 720 RPM. It comes with a 2-year comprehensive warranty from IFB. IFB has excellent service network so you won't face any issues with after sales service. 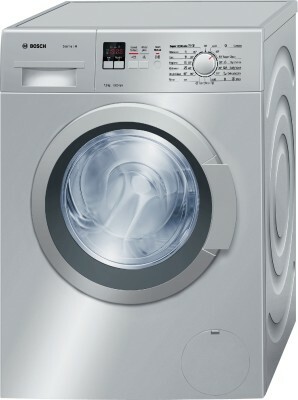 Overall one of the best top load fully automatic washing machine under 20000 and our favorite as well. Samsung washing machines are undoubtedly the best and this is one of the best value for money product. It has a very solid build quality and comes with a capacity of 6.2 Kg making is suitable for a family with 3 members. It is a fully automatic top load machine with stylish and premium looks. The motor has a power rating of 380W which creates a strong flow of water and cleans the clothes. The filter attached is very effective to prevent any blocking of drainage. On the features side, it comes with 4 wash programs(Normal, Quick, Blanket, Delicates) which you can switch between based on the type of wash required. It also has an indication signal where it reminds you when the tub needs cleaning and it itself clean when you choose the "Eco Tub Clean" option from the menu button. Also, there is a soak feature in which you can keep the clothes soaked in water without the tub running so that it is easy to remove the dirt. With excellent build quality, it also has a powerful motor rated at 380 W which powerfully rotates the tub. The rotation speed of the motor is 700 rpm which is good for a fully automatic machine. This is one of the highest rated washing machines and is one of our top pick for best fully automatic washing machine under 15000. Samsung offers 2 years of warranty and has a lot of service centres and offers a great service. LG is a big brand in India with excellent after sales service network. LG products have a high quality and prices are also on the higher side. Same is the case with this washing machine which offers great performance. The machine's build quality is excellent and is made of high-quality materials. It is a compact machine and easy to use and won't take a lot of space. The design is simple with White/Grey color on the sides and lid on the top with control buttons and digital display. Plenty of wash programs are available for different type of clothes. The machine comes with Smart Diagnosis which means if an error occurs, you can use the LG App or make a phone call to the LG Service center. A diagnosis can then be made quickly. The machine uses Punch 3 mechanism for washing. Punch+ 3 creates water streams in the vertical direction which mixes laundry up and down repeatedly for even washing result. If you want to spend less then other brands with same capacity will cost you 2000-3000 less but the quality won't be similar to LG. Overall a great quality washing machine from LG. Suitable for a family of 3-4 members. This is a decent top load fully automatic washing machine from Haier at an attractive price. The motor is 325 Watts but it can run at 1000 RPM which is great. There are plenty of wash programs for different clothes. Haier offers 2 years warranty on overall machine and 5-year warranty on motor. This washing machine is one of the bestsellers on both Flipkart and Amazon. This top load fully automatic washing machine has a very simple design. The control panel is on the top with the display which displays information like modes and time remaining etc. The machine has an anti-rust, plastic body so you can place the appliance anywhere including the bathroom. The build is solid and it feels durable. This Haier washing machine comes with 6 wash programs types to suit your washing requirements. If you need to wash something quickly, Quick wash feature would come in handy. The washing machine also has a soak function and you can set it according to your needs. Soaking clothes help to remove tough stains. The machine also has foam detection feature which makes sure all detergent is removed from the clothes by rinsing. Overall the performance of the washing machine is great and it offers good value for money. Go for it if you need a fully automatic top load washing machine under 12000 to 15000 Rs.